Brief Description: The name Peter Keogh may not be instantly recognisable to many people but he was married to one of the most popular British comedy actresses of the 1980s, Su Pollard. My Hi-De-High Life documents the story of how an unknown gay drifter from Australia came to live the celebrity life in London and mix with some of the most iconic stars of the time. 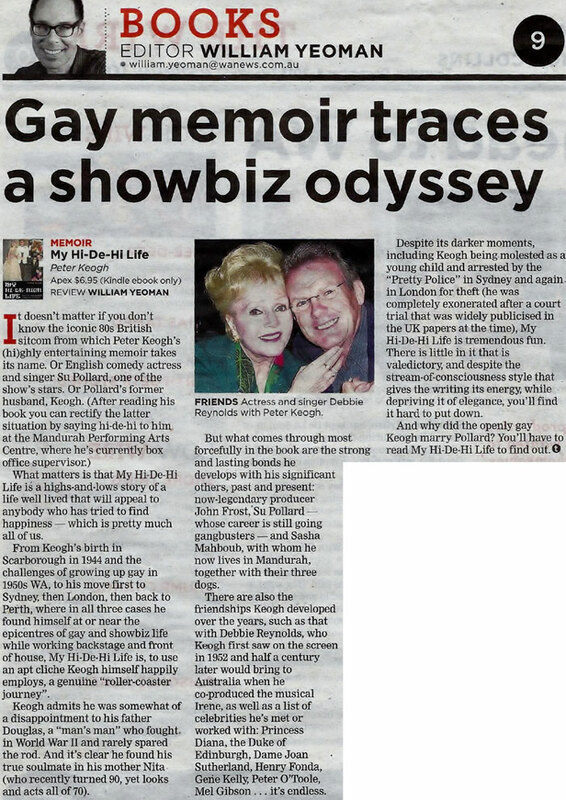 This autobiography details the abuse in Peter’s early life, his struggle to come to terms with his sexuality, different jobs, his travels, involvement with the theatre, tempestuous relationships and subsequent arrival in London, where he met and married Hi-de-Hi star Su Pollard. In this no holds barred account Peter spills the beans on his life with Su, his arrest and trial for theft, meeting Princess Diana and living the high life with well-known household names of the time. He goes on to document his subsequent divorce from Su, living in America and working with film legend Debbie Reynolds. This book is a fast-paced read about Peter’s rollercoaster ride of a life that you won’t want to put down. About the Author: Peter Keogh was born in rural Australia during the 1940s. Growing up in a religious family, where homosexuality was considered anathema, he struggled to come to terms with his true identity. He was also subject to physical and sexual abuse, which shaped his later life. After a string of jobs, Peter moved to London where he met and worked with some of the biggest names in show business including comedy actress, Su Pollard, whom he married. For several years, Peter enjoyed the celebrity lifestyle and met and mixed with some of the most famous people of the day, including Princess Diana. Peter was also charged with theft which led to one of the most publicised trials of the day, receiving as much press coverage as the Falklands War. After his marriage to Su Pollard ended, Peter travelled to the USA, where he went on to work with many iconic stars, including film legend, Debbie Reynolds. Peter was finally able to publicly acknowledge his homosexuality and now lives openly with his long-term partner in Australia. No Biz like Show Biz. If you love show biz, please put My Hi-De-High Life by Peter Keogh on your must-read list! In this wonderfully entertaining memoir, the author recalls funny and sometimes shocking adventures of his life as a producer, stage manager, prop master, tour guide, dresser, night watchman and usher at various Australian venues. As the world’s most avid movie addict, I particularly enjoyed Keogh’s revealing descriptions of behind-the-scene situations involving so many stars of the Golden Years of Hollywood, including Debbie Reynolds, Carol Burnett, Raymond Burr, Peter O’Toole, Liv Ullman, Eve Arden and more. Although growing up gay in 1950s Australia was no picnic for him, Keogh did more than survive. Even his later unlucky experience during a court case could not bring him down. 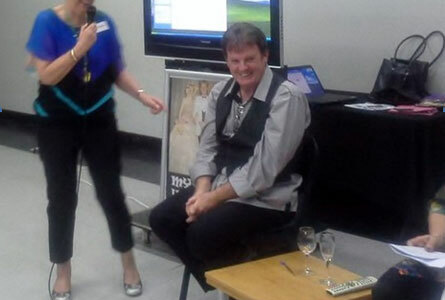 Although parts of his life have been painful, Keogh revels in his show biz activities. The book comes even more alive when he writes about the stars he’s come in contact with. For example, priceless is the only way to describe how he started out as a Debbie Reynolds fan, became her friend, and then the producer of Irene, her stage production in Australia. Happily, Keogh writes with a breezy, chatty style that helped draw me into his world. It’s a real treat to read a memoir so genuine, amusing and candid as My Hi-De-High Life! Peter Keogh's book is sensational reading! He has led a remarkable life and has made many lasting friendships. Peter is loved by so many, including me! What a great and empowering read. I was racing to the next adventure with a fixed smile of joy and delight in this spirited, brave and loving memoir. This is Peter's "yellow brick road", a lion with courage from the beginning. Peter's book is a fun and insightful read. If I had one reservation it's that I'm not in it enough, but living with him for 7 years was a rollercoaster of a ride. To know Peter is to love him. The name Peter Keogh may not be instantly recognisable to many people but he was married to one of the most popular British comedy actresses of the 1980s, Su Pollard. My Hi-De-High Life documents the story of how an unknown gay drifter from Australia came to live the celebrity life in London and mix with some of the most iconic stars of the time. This autobiography details the abuse in Peter’s early life, his struggle to come to terms with his sexuality, different jobs, his travels, involvement with the theatre, tempestuous relationships and subsequent arrival in London, where he met and married Hi-de-Hi star Su Pollard. In this no holds barred account Peter spills the beans on his life with Su, his arrest and trial for theft, meeting Princess Diana and living the high life with well-known household names of the time. He goes on to document his subsequent divorce from Su, living in America and working with film legend Debbie Reynolds. This book is a fast-paced read about Peter’s rollercoaster ride of a life that you won’t want to put down. Hush Hush Biz QA with Peter Keogh. 1. In writing the book and with writing of your experiences of what you went through in your early years, has this been a good release as in like a healing for you to write your story? I have to say that it was a cathartic experience because it was just intended to be a bit of an essay to record some of the amazing events in my life but as I started some memories came flooding back that were so traumatic that I had subconsciously buried them. So by writing about them I was able to face them as an adult and move on! However it still hurts a bit thinking about the abuse in particular but not in a debilitating fashion – I felt freer and I guess healed! 2. If you were given a chance to re live anything is there anything you would change? Probably not because what happened to me then has made me the strong man I am now. I guess just having a bit more confidence would have been helpful – I was so shy – stammered terribly and would wet my pants in class when called upon to answer a question the answer of which I knew but because I stammered I couldn’t get the words out and was ridiculed! 3. Your time with John Frost sounded like it was a very colourful time for you both. Are you still close. Colourful is an understatement but he was my first true gay love and as such has a special place in my heart, We used to both be very jealous and often ended up sending plates of food flying across the room at each other plus – as mentioned in the book – in the middle of Sydney Harbour Bridge in peak hour we had a fight so he reached over and pulled out the car keys and left me in the car being abused by every car behind me – I just ducked down and hid on the car floor – dying of embarrassment! We are still very close – John asks us to all of his big events and in fact I am having my 70th birthday in August at his and his partner Shane’s beautiful home in Bayview on the north shore overlooking the beautiful Pittwater. 4. Debbie Reynolds has been a huge in your life. Can you share more on any other things here on meeting her and do you stay in touch still now often? Yes Debbie was my idol from the age of 12 when I saw her in ‘Tammy’ and wrote a fan letter to her which she answered at length and finally met when she first toured Australia in 1978. She asked me to visit her in Hollywood and we really bonded! Touring with her for over a month was surreal! We never slept – talked about everything because she knew and knows everyone in Hollywood so we had some of the most outrageous chat sessions most nights. She is so funny – never gets up till noon and has so much energy – exhausted me. We stay in touch about once a fortnight! 5. You Life with Su Pollard share one of the funny stories here as to fact getting married or the arrest in your life. Life with Su was a roller coaster ride! People would say that she was ‘like a bee on speed’! One story not in the book was when she dozed of with a ‘happy’ – shall we say – cigarette in her hand and the curtains in our bedroom went up in flames – fire brigade called and everything including us was soaked – the first thing the fire men asked for afterwards was a photo and an autograph of Su! Also getting married twice was unusual to say the least – the first time was not legal because the minster crossed out the original church on the licence because we had to change churches a few hours before the event – all the details in the book! The arrest for stealing was painful beyond words but a letter from the actress Jill Perryman saying that all will be well because – ‘right is might’ – saved the day and as you know I was cleared of the charges! 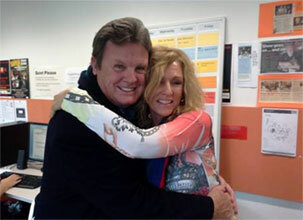 Jill actually came to my book launch here in Perth. 5. If there is something else you would like to do in this life time what would that be Peter. To be totally truthful it would have to be that I was in a position financially to be able to not have to work and to be able to see some of the countries I have dreamed about ever since I was a boy – and to do it with my partner Sacha! Places like Venice, Rome, Ireland, Alaska and many others – travel business or even first class and not have to worry about staying in lovely hotels etc. Nice to dream! However the fates decreed that not to be so I just make the most of each day and count my blessings of which there are many! The book can be purchased at the following places e-book format from Amazon, Barnes and Noble and JB Hi-Fi’s online stores. In his autobiography ‘My Hi-De-High Life: Before, During and After Su Pollard’ Peter Keogh recounts his life story starting off with his early life in Perth and Melbourne and then as a young man discovering his sexuality in Sydney and later Perth. From life in Perth to Australia’s theatre scene in the 70’s to life in London in the 80’s where Keogh married high profile TV star Su Pollard to his later life back in Australia with his long term partner Sach, the book recounts a life filled with star studded experiences and long term friendships. Peter Keogh’s ‘My Hi-De-High Life: Before, During and After Su Pollard’ is available in e-book format from Amazon, Barnes and Noble and JB Hi-Fi’s online stores. THE unassuming and handsome part-time supervisor at Mandurah Performing Arts Centre’s box office has a past both unexpected and surprising. 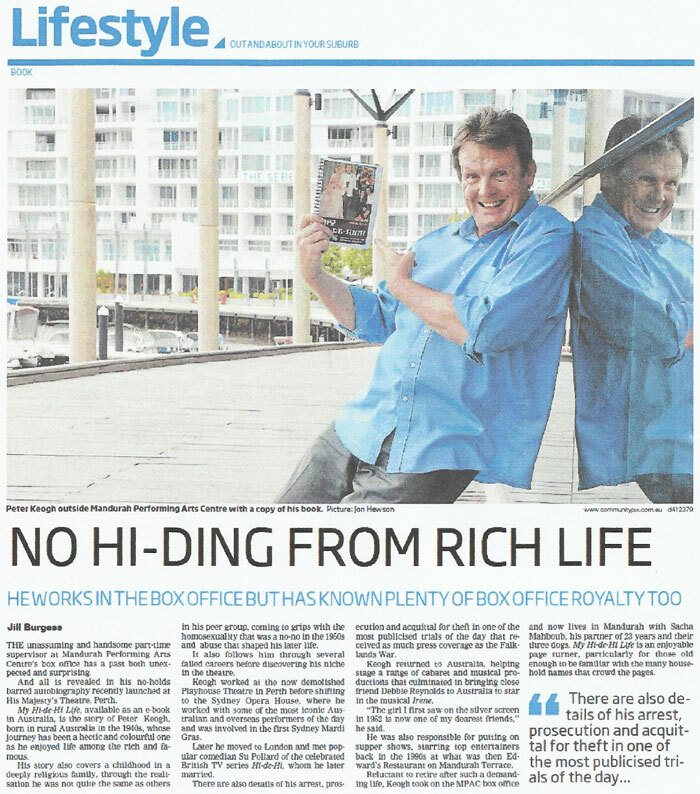 And all is revealed in his no-holds barred autobiography recently launched at His Majesty’s Theatre, Perth. 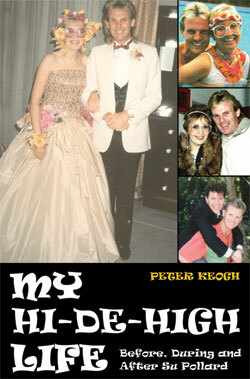 My Hi-de-Hi Life, available as an e-book in Australia, is the story of Peter Keogh, born in rural Australia in the 1940s, whose journey has been a hectic and colourful one as he enjoyed life among the rich and famous. His story also covers a childhood in a deeply religious family, through the realisation he was not quite the same as others in his peer group, coming to grips with the homosexuality that was a no-no in the 1950s and abuse that shaped his later life. It also follows him through several failed careers before discovering his niche in the theatre. 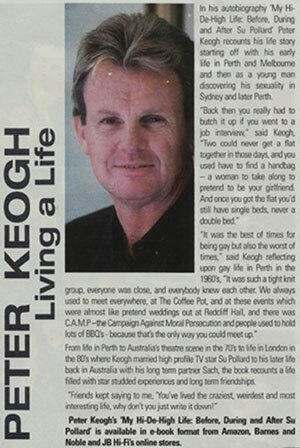 Keogh worked at the now demolished Playhouse Theatre in Perth before shifting to the Sydney Opera House, where he worked with some of the most iconic Australian and overseas performers of the day and was involved in the first Sydney Mardi Gras. Later he moved to London and met popular comedian Su Pollard of the celebrated British TV series Hi-de-Hi, whom he later married. There are also details of his arrest, prosecution and acquittal for theft in one of the most publicised trials of the day that received as much press coverage as the Falklands War. Keogh returned to Australia, helping stage a range of cabaret and musical productions that culminated in bringing close friend Debbie Reynolds to Australia to star in the musical Irene. “The girl I first saw on the silver screen in 1952 is now one of my dearest friends,’’ he said. He was also responsible for putting on supper shows, starring top entertainers back in the 1990s at what was then Edward’s Restaurant on Mandurah Terrace. Reluctant to retire after such a demanding life, Keogh took on the MPAC box office and now lives in Mandurah with Sacha Mahboub, his partner of 23 years and their three dogs. My Hi-de-Hi Life is an enjoyable page turner, particularly for those old enough to be familiar with the many household names that crowd the pages. 11 December 2013 - Peter Keogh was interviewed on Twin Cities 89.7 FM (Australian Radio Station) talking about his book 'My Hi-de-High Life'. 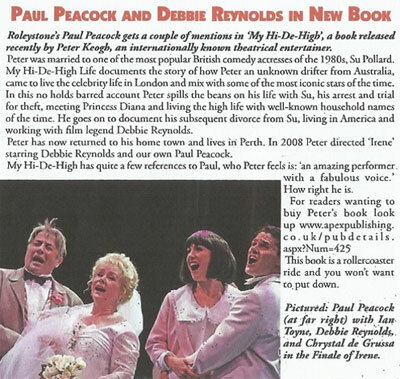 26 December 2013 - Peter Keogh was interviewed on Talk Radio Europe, talking about his book 'My Hi-de-High Life'. 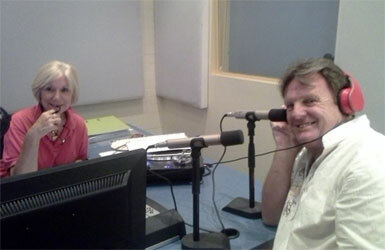 Peter was interviewed by Selina MacKenzie. 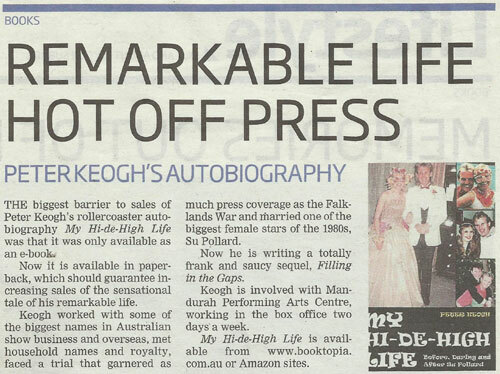 27 December 2013 - Peter Keogh was interviewed on Radio Saltire, talking about his book 'My Hi-de-High Life'. Peter was interviewed by Graeme Logan. 11 January 2014 - Peter Keogh was interviewed on Capital Radio 101.7 FM (Australian Radio Station), talking about his book 'My Hi-de-High Life'. 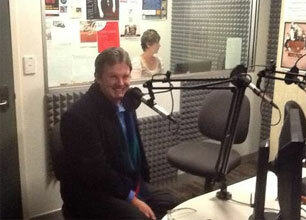 (Photos: Peter Keogh being interviewed). 28 January 2014 - Peter Keogh was interviewed on Wolverhampton City Radio 101.8 FM, talking about his book 'My Hi-de-High Life'. 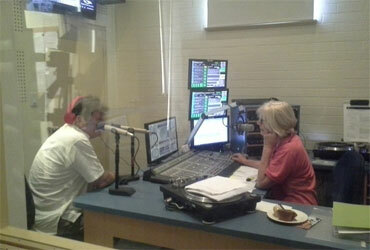 2 July 2014 - Peter Keogh was interviewed on 89.7 FM (Australian Radio Station). Peter talked about his book 'My Hi-de-High Life'. Peter was interviewed on 'The Sue Myc Show'. 19 June 2016 - Peter Keogh was interviewed on Joy 94.9 (Australian Radio Station). 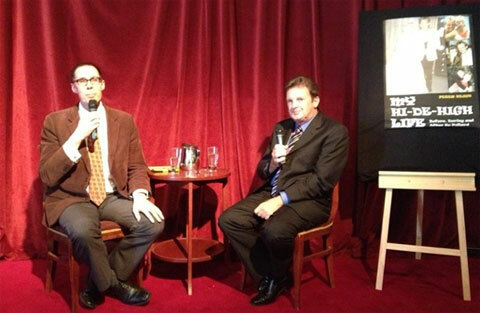 Peter answered questions about his book 'My Hi-de-High Life'. There are some very sad and scary moments but some wonderful stories to balance that out. Well done Peter Keogh. Peter's story is respectful and funny. It’s so entertaining and covers the full gamut of emotions - laughter, mirth, sadness, shock, embarrassment, fun, naughtiness and back to laughter. Peter’s honesty comes through in every chapter which makes it a damned good read. An incredible, interesting, and at times, really sad, book - and how he can remember so much of his earlier years in such accurate detail. Plus how many celebrities, VIP’s, etc. that Peter has met in his life. It is just awesome reading. Peter has packed enough for three lives into his 69 years and the story is fascinating. His book is a brilliant read, honest, funny and respectful of all those he talks about. It is a major achievement. It is something to be very proud of. To say I love the book is an understatement, I hung off every word. I just wish it could of gone on and on! A big thanks for your book, it really is special and especially to people like me, that have had our lives touched by Peter Keogh over these past 40 years . Peter has been a very influential person to me over the years. OMG! I have literally cacked myself with laughter on every page! It’s as if Peter jumped out of the pages and here we were 35 years ago. I know some of the experiences are not so funny but he still has a way of conveying them in a very readable way. I’m truly lost for words. I don’t know how to express my admiration for Peter’s humour and honesty. There are so many levels his book can be read on – even just entertainment value alone, but much, much more. I have just finished reading Peter Keogh’s memoir and am trying to catch my breath. What a whirlwind of a story, oozing with courage, humour, honesty and emotion at every turn. I was both caught up in it and deeply moved in places. A life full to the brim, no brimming over, and with more to come. I wanted to say how proud I am of what Peter Knogh has achieved with his memoir. It's a work in which he has poured his heart, soul and intellect into and it shows. None of us live forever, but he has created something that will live on and how wonderfully powerful it is. I literally just finished reading it now. I read start to finish in one sitting, took about 4 hours mind but I couldn't stop and just wanted to carry on reading! An absolutely great read and some truly fantastic moments and some saddening tales but all part of Peter’s wonderful memories of an astounding life. My only critique ... it wasn't long enough! (Say what you will) thank you for sharing your journey with us all. 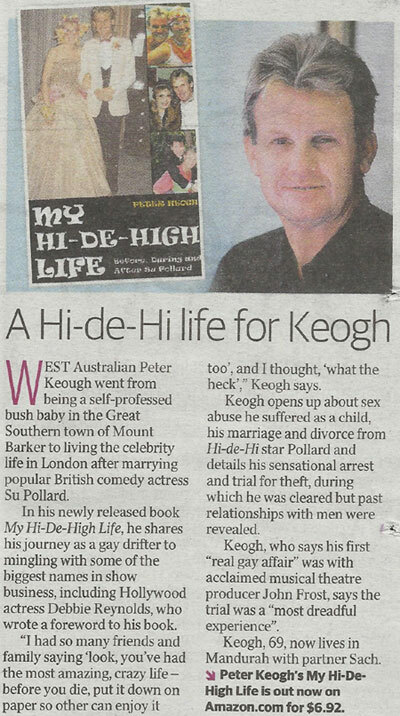 A few weeks back I was very kindly given a book, My Hi-De-High Life, by Peter Keogh. I started reading it and by page six I was totally caught up in the life of this fascinating man. Peter works at the Mandurah Performing Arts Centre in the Box Office, and never in a million years would I have expected to have fallen in love with another person’s life as much as what I have with his. He writes with a candour that challenges the reader to be open to accept him and life how it was from his point of view. There is no cut off point; it’s just… as it happened at the time, warts and all (metaphorically speaking). Peter’s book will make you laugh and feel, it will also shock with the utter bluntness, but I doubt it will offend you (ok maybe occasionally). Although he says it all how it is, he doesn’t dwell for long and before you know it you are off and running again. Would I read this book again? Yes, I am about to! I felt like I read it as fast as it moved, and now I want to savour what I now know to be brilliantly entertaining writing. My Hi-De-Hi Life is a true story about the many people Peter met and about what it was like to be homosexual in a time where it wasn't quite the accepted status quo, abuse that he suffered along the way to becoming the man he is today, working within the entertainment industry with some very famous people and marriage to a brilliant performer, but all of it told as if you were sitting with Peter having a glass of wine. My only criticism is that I didn't want the book to end! My recommendation to you, read it! This man is warm, loving, crazy, vulnerable and strong, with the guts to write something so refreshingly honest that I know you will feel the same as me. I thought my life was full of many events, but Peter Keogh has reached the heavens. The book was fab! Such a great read and an interesting life! The book is very well written! It must have been hard for the author to say he was gay back then. 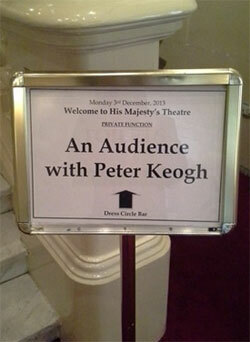 What a wonderful life Peter Keogh has had. My friendship with Peter and his partner Sacha has been fun, lots of it … and the book just said it all. Perfect, everybody should read it. I've decided that the Jennifer Saunders book is fairly boring, so I have cast her aside and read Peter Keogh’s book. I am charmed by it and I will certainly recommend it wherever l can. It’s a totally engrossing fascinating read and beautifully written. Open, honest and simple, just talking from the heart. Bravo. It was heartfelt, touching, funny and enjoyable from start to end - I couldn't put it down. What an epic and exciting life Peter Keogh has lead. Peter is a wonderful person who has given to so many people and is loved by all. Peter Keogh's autobiography is an easy and most enjoyable read that is refreshing in its candour. His struggle with his homosexuality and the constant awareness of being a disappointment to his father, as well as his great love of anything theatrical, is the basis of his story that is told with great energy and humour. He succeeds in striking just the right balance between the low points in his rather adventurous life and the headier and more exciting period in London in the 80's when he becomes infamous for being accused of theft by a top London hotel. This stage of his life was also notable for his whirlwind courtship and marriage to one of the UK's biggest TV stars. Throughout, one gets the impression that it is both Keogh's optimism and unique sense of humour that have enabled him to endure whatever life has thrown his way. And these, together with his evident personal charm and friendliness, are the qualities that have endeared him to the many famous and not so famous people he has met along the way. 19 March 2015 - Peter Keogh took part in a question and answer session at the 'Mandurah Performing Arts Centre, Australia'. 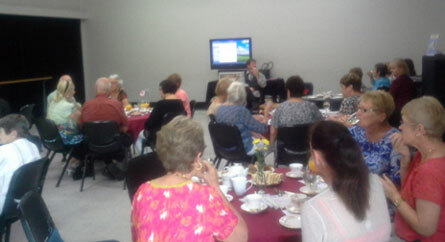 Peter answered questions about his life, and his book 'My Hi-de-High Life'.